Sodom and Gomorrah were wealthy communities located in the Dead Sea region. Among their riches was an abundance of bitumen, water, and fertile soil. Bitumen to them is what oil is to the United States. It’s a black or brown oily substance, flammable, gelatinous, tar-like, and contains a waterproofing agent. Just as there are many derivatives from oil (petroleum jelly, tar, gasoline, paraffin wax, fuel oil, Kerosene, and jet fuel, to name a few), there are just as many derivatives from bitumen. If you need a visual for bitumen, think “asphalt.” They used it on rooftops as a water-repellant and burned it at the end of poles to light the night. Noah’s descendants used it between mud bricks when they built the Tower of Babel. What was Sodom’s and Gomorrah’s sin against God? In my quest to answer this question, I encountered a lot of debate regarding many scholars’ inability to definitively prove what sin was committed. I don’t believe the answer is hard to find. I found eight (8) of them in the Old Testament, and several from the teachings of Jesus. Sins No. 1 and 2: Lack of Hospitality and Stubbornness. Anytime Jesus uses the Old Testament as a point of reference, it always relates to the message He’s conveying to His audience. Here, He is talking to the disciples and warning them not to waste time with those who refuse to listen and obey. Then he goes on to compare these hardheaded people with Sodom and Gomorrah. There would be no need to make such comparisons if the subjects didn’t have something in common. Some believe the lack of hospitality was so great among these people that they treated strangers rudely, to the point of disfiguring some and casting out others. I ran across one such incident in my reading that mentioned that these two communities would give a bed to a stranger, but if he were too short, they would stretch out his body to make it fit; if he were too long, they’d cut off his legs. Since this account is not the crucial point of this editorial, I did not spend time researching to prove or disprove this particular matter. However, to think a people would be this inhospitable is beyond me. Sins No. 3, 4 and 5: Sexual Immorality, Lying, and Adultery. For Lot to offer his daughters as an appeasement for the insatiable appetite of these men, leads me to conclude one of their sins included sexual misconduct. Archaeologists have found many sites with charred remains all over the southern portions of the Dead Sea. They have a difficult time deciphering which sites are truly Sodom and Gomorrah. In addition, Sodom, Gomorrah, and the surrounding towns had problems with adultery and lying. Sins No. 6, 7 and 8: Arrogance, Unkindness, and Haughtiness. Born out of Sodom’s and Gomorrah’s wealth was the spirit of arrogance, which bred haughtiness, which bred unkindness. To point the finger at wealthy Americans who haven’t been as generous as they should isn’t going far enough. People of all economic status share these shortcomings. It stems from the belief that everything we have and worked for is derived from our own hands. But what is success, money, or power apart from God? 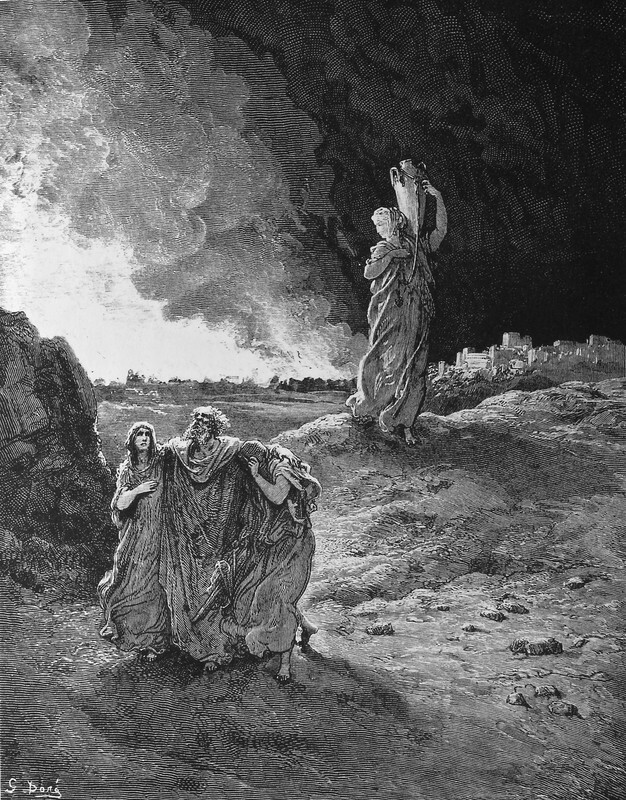 Sodom and Gomorrah firmly believed their prosperity came by way of their own hands. From their vantage point, there was no need to offer thanksgiving to God. He must have been insulted! According to Ezekiel 16:49-50, out of their abundance, they didn’t share any of it. Haughty means: arrogant; to be proud in a manner that shows disdain for others. When you feel this level of pride, you don’t treat others kindly—they are beneath you. If you look at these sins collectively, you can understand why God was so angry with Sodom, Gomorrah, and the surrounding towns. Ungratefulness is an abomination and leads to spiritual death. Let us not get so caught up that we don’t heed to the righteous living to which God calls us. Sign up to receive email alerts of Donna B. Comeaux’s latest articles from EzineArticles.com! By dcomeaux in Blog, Religion on November 1, 2013 .